As Connecticut just became the 17th US State to ban death penalty (http://goo.gl/12gpk) and Norway is judging Anders Breivik for his atrocious mass-murder in Oslo last year, Werner Herzog’s “Into the Abyss: A Tale of Life, a Tale of Death” (2011) offers a timely and complex perspective on capital punishment. This is not your dogmatic, Michael Moore type of documentary with a heavily biased selection of testimonies and facts destined to make a specific point. 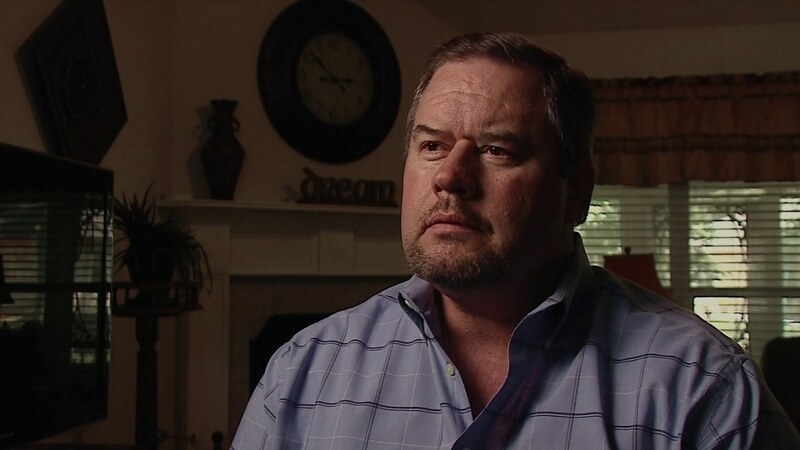 It’s a simple, honest and almost candid meditation about the meaning and the purpose of death penalty (should there be any) through the disturbing account of a sordid but sadly ordinary Texas murder story (not involving chainsaws this time). After an incongruous prologue where a death row minister is brought to tears by the evocation of the beauty of nature and life, we go back to a more conventional investigation style as we follow the local sheriff through the crime scene in Conroe, Texas, where a tragedy took place a decade earlier. Herzog puts the jigsaw pieces back together mixing original police footage and his own material from interviews with the people involved, both the victims and the accused. 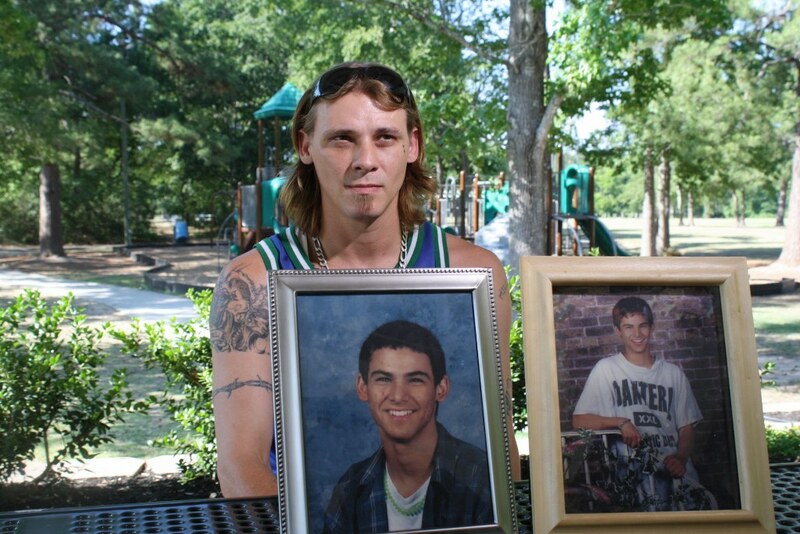 We understand that teenage petty thief Michael Perry, now on death row, was involved in a car theft which turned ugly – as he has been charged with the killing of three innocent people. As Herzog visits Perry in prison, there’s only a week to go before the lethal injection that will take his life away – yet Perry seems unpreoccupied, at peace with himself, convinced he is innocent and that he will go to heaven. 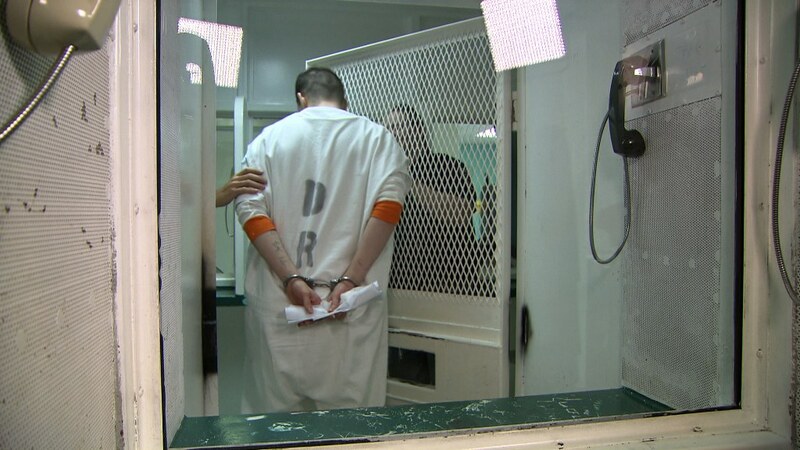 Through direct, down-to-earth questions, Herzog manages to capture the combined disbelief and acceptance of the supposed murderer towards the concept of capital punishment – an idea so rooted within the Texan culture its existence and usefulness are rarely questioned. 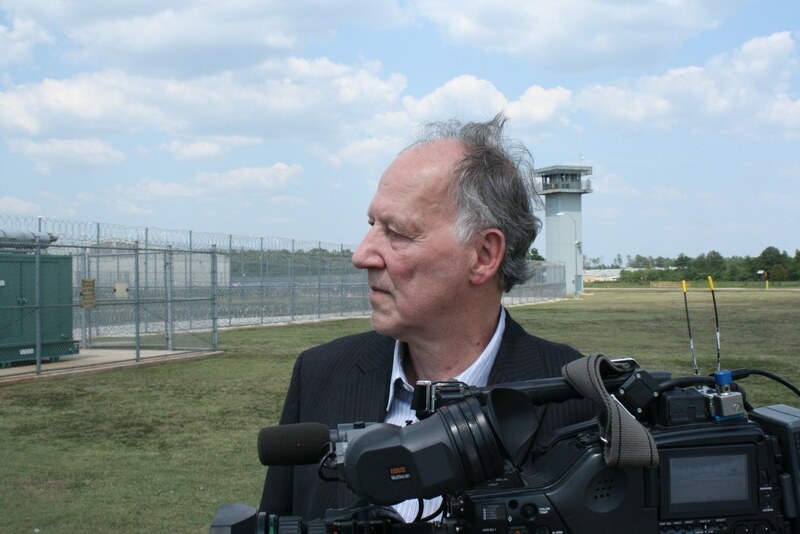 Often Herzog phrases his questions with a view to encourage taking position against cruel and pointless capital punishment, but it’s more with a view to test the waters rather than try to convince anyone. Herzog knows there is a very complicated background to each person involved in the story and no-one is going to take any lessons from a weird old German film-maker. Herzog is no less compassionate towards the victims’ families, illustrating the impossible hardship of coming to terms with an unnecessary, meaningless loss, but also pondering on the sad origins of criminality as disadvantaged kids in bad company are insidiously thrown into anti-social behaviour. With the scary murderer on one side claiming his innocence in complete denial of the blatant charges and the distraught victims’ daughter on the other side admitting to feeling relieved after attending his execution, the outlook might seem rather bleak and Herzog’s intention to demonstrate the absurdity of capital punishment somewhat curtailed. But that would be without counting on other very interesting portraits in the film. First, there’s Perry’s alleged accomplice, Jason Burket, on life sentence, whose wife he met, married and knocked up while he was behind bars. 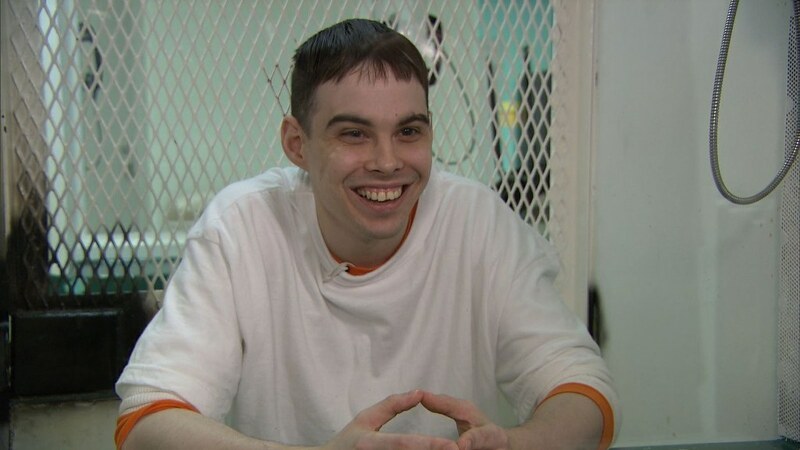 Sure, he is not a picture of honesty and innocence (he really looks like the archetypal serial killer), but his strange love story suggests a glimmer of humanity and willingness to build, not just destroy – which Perry being sentence to death didn’t have the luxury of aspiring to. Then, there’s Burket’s father, a disastrous role model also on life sentence, who appears to be full of regrets and guilt after leaving his sons to their own device only to grow into pathetic scoundrels. In a moment of clarity and selflessness he testified during Jason’s trial and saved him from following Perry into death-house. Finally, there’s Fred Allen, a man of integrity and former death house captain, who experienced a brutal revelation whilst preparing the execution of a woman for the first time in his life. It took him over a hundred executions to realise it didn’t make any sense to take a killer’s life away so he quit his job overnight, risking a hit on his pension. In a way Allen’s previous devotion to work is reminiscent of the attitude of some Germans during WWII who pretended they collaborated to mass executions, not out of ideology or belief, but simply out of duty. Obviously there are too many differences to compare death penalty as it stands currently in 33 US States with the Jewish genocide, but in this case Allen had the courage, lucidity and opportunity to give his life a twist and stop acting as a de-humanised, insensitive machine. The message between the lines is that unlike objects, human beings are given a life, the one-and-only opportunity to experience the world as we know it. No matter one’s mistakes, crimes or ill-behaviour, everyone should have the freedom to use this opportunity as they see fit and no-one should have a right over someone else’s life. But Herzog is respectful and subtle enough to avoid propaganda and making inappropriate judgments or bold declarations – his positions are always clear but he lets the interviewees speak for themselves and never underestimates the complexity of the feelings and concepts at stake. I would be curious to see how people in favour of death penalty react to the film – being against it only comforted me in the idea that it is unconditionally wrong for a state to take away someone’s life – but also reminded me of the terrible suffering left after an assassination – all the more when it’s absolutely pointless. For more details about how this great inspiring documentary was made – despite the very limited time allowed with the in-mates – read Ainitcool’s interview with Herzog himself on http://www.aintitcool.com/node/51957. Same here. I haven’t seen much of Herzog’s work apart from his remake of Nosferatu with Isabelle Adjani, but he’s a documentary guru worth discovering. Great blog by the way! I really want to see Take Shelter!